In the world of diet and fitness, this has been an all-consuming question for decades. That’s because the question of should you avoid carbohydrates does not have a straight and simple answer. There are many factors. In the simplest terms, carbohydrates are a major energy source. And yes, you find them in deliciously tempting foods like bread and pasta. But here’s the good news – they’re also in fruits, vegetables, beans and whole grains. So to avoid carbohydrates completely would mean to deny yourself the important nutrients and fiber found in those healthy foods. And taking 27 different supplements to counter that just isn’t gonna cut it. Your body metabolizes carbohydrates to produce a type of sugar called glucose. This is your body’s primary energy source. Once produced, glucose can either be utilized right away, or stored for future use. When you consume carbohydrates such as those in the listed healthy foods above, that energy is utilized rather than stored. Plus, you’re getting vitamins, minerals and other nutrients. The best carbohydrates are those that are high in fiber and low in sugar. They haven’t been heavily processed or refined and they take longer to break down into glucose. That’s why when you eat a piece of fruit or some nuts before you work out, you don’t feel that quick burst of energy and then a crash. It’s far more sustained energy. As such, the carbohydrates from these sources have been given the moniker of “good” carbohydrates. And they are! But where there’s good, there’s also bad. And it’s the “bad” carbohydrates of which you need to be wary. It is the cookies, cakes, soda, candy, white pasta/bread and snack foods that have given carbohydrates a bad rap. Yeah, they’re delicious. And let’s be honest – almost nobody craves a box of raisins when they’re feeling down. The problem is, the glucose created by these carbohydrates is not effectively used by the body. These processed and refined foods that are higher in sugar give a quick rush, followed not too far behind by a crash. And they offer minimal to no nutritional value in the process. As a result of the negative press of these sorts of carbs, the good ones have been brushed under the rug. But that’s throwing out the baby with the bath water. Because even though you can lose weight initially on a low-carb diet, after about six months, you’ll find that it really doesn’t work better than any other diet. And ditching the carbs altogether (in the name of weight loss or perceived “better health”) is even more ill-advised. Sure, as your body starts breaking down those stored carbohydrates, you’ll rapidly lose water weight. But you’ll also be devoid of the nutrients good carbohydrates provide. And as soon as you start eating carbs again, your body will replenish the carbohydrate stores and the weight will return. So Should You Avoid Carbohydrates That Are Considered Bad? But keep in mind that ‘avoid’ does not mean ‘eliminate.’ Unless you have dietary issues or specific religious beliefs that dictate otherwise, you should be careful to not make any specific food group off limits. This is especially true of those delicious but not-so-great carbs. Because the reality is, if you attempt to permanently strike pizza, cookies or French fries from your list of acceptable foods, it will distort your thinking about them. And chances are, you’ll crave them even more. Remember that no single food is powerful enough to instantly pack on the pounds and zap you of all your energy. Consuming carbs comes down to first knowing which ones are beneficial, and then instituting portion control for those that aren’t. Maybe you allow yourself a couple of pieces of pizza every third weekend. Or treat yourself to a candy bar upon completing a really challenging task. The key is to remain mindful and vigilant that the occasional treating of yourself doesn’t become a habit of regular consumption of junk food. 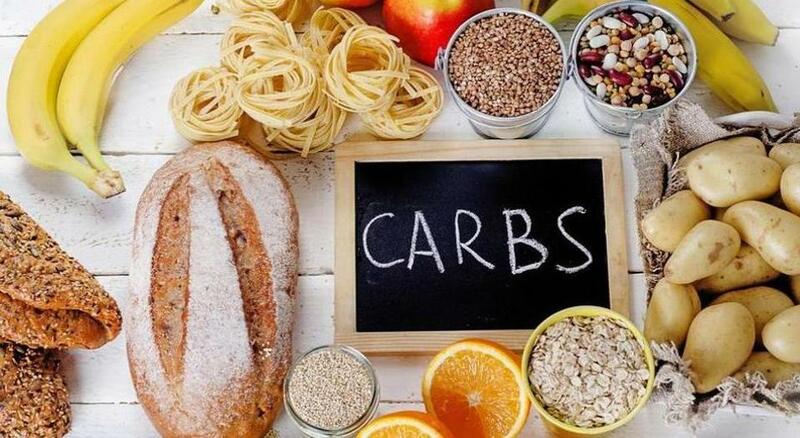 The next time you’re wondering should you avoid carbohydrates, we hope this article has left you feeling better informed on the topic. Understanding both the benefits of drawbacks of different kinds of carbs will help you maintain your fitness goals and keep you feeling energized so you can get the most from your workout. And if you have further questions about ways to optimize your health, contact us. We’re happy to help.